COTTONWOOD –Police are still searching for the suspect who allegedly stabbed a man multiple times in the State Route 260 and East Thousand Trails Road area Friday evening. Cottonwood Police Department spokesperson Sgt. Monica Kuhlt said a warrant with a $100,000 cash-only bond has been issued for Benjamin Pita’s arrest for charges related to the stabbing. Monday morning, Sgt. Kuhlt said the last report she received on the victim’s condition was that he was in ICU. Pita of Cottonwood, is described as a 23-year-old Native American man who is 6 feet tall and weighs 165 pounds. He has black hair, brown eyes, and numerous tattoos. Pita was last seen wearing a black and yellow shirt. According to a Cottonwood Police Department news release, the stabbing occurred in the area of SR 260 and East Thousand Trails Road around 6:30 p.m. Friday. Police said Pita stabbed a 53-year-old man numerous times in the face, neck, arm and chest while in a car. The victim was driving and Pita was the passenger. Pita jumped out of the vehicle in the area of East Thousand Trails Road and fled on foot. An Arizona Department of Public Safety Ranger helicopter assisted in attempting to locate Pita using FLIR (forward looking infrared) cameras and numerous other agencies assisted in the search. All occupants of the vehicle are known to each other, said police. However, the motive is still unclear. Police said that Pita was not a hitchhiker as previously reported. He is currently on Supervised Federal Parole, and the FBI has been notified as probable cause exists to arrest him. Pita’s whereabouts at this time are unknown, according to police. 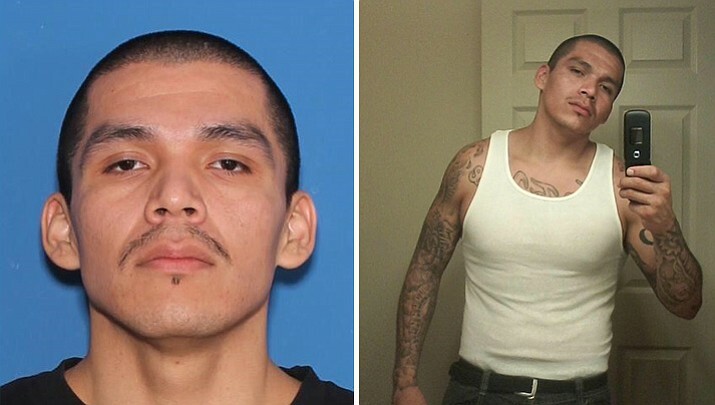 If you know where he is or have any information that may lead to his arrest please call your local police department or Yavapai Silent Witness at (800) 932-3232. Tipsters never have to give their names. 0 Response to "US News: Stabbing suspect still at large"